The report is principally focused on spending by small businesses. Digital marketing services here includes ads but extends to spending on presence management, PR, listings management, content creation, reputation monitoring, app development, email and beyond. These services are broadly captured in the chart above, breaking down the market by spending category (for 2016). The report unpacks and discuss each category in more detail. 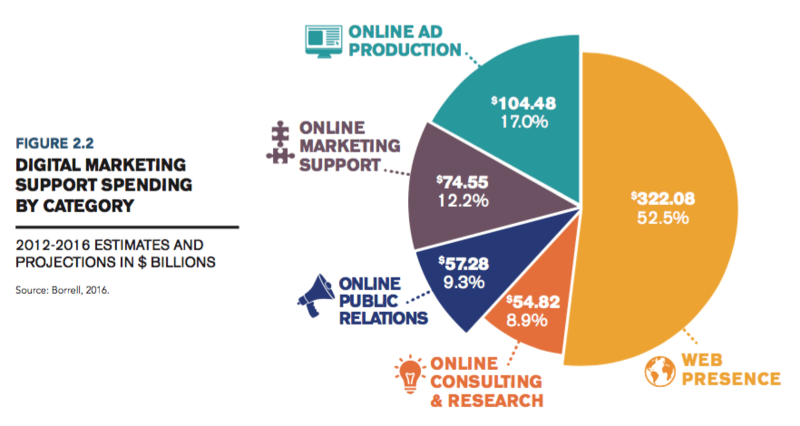 In particular, Borrell says that 87.5 percent of “online marketing support” reflected above is SEO-related spending. 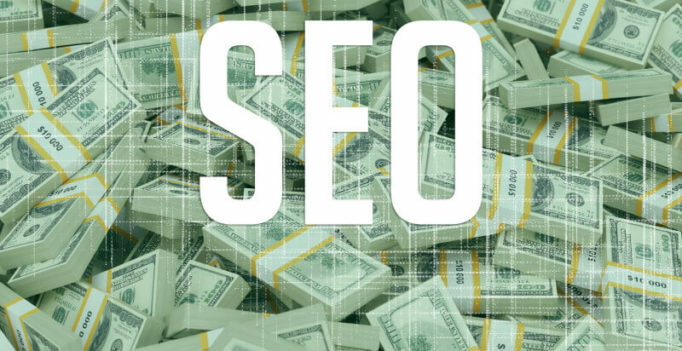 It asserts that total SEO spending will be just over $65 billion this year, growing to nearly $80 billion by 2020. 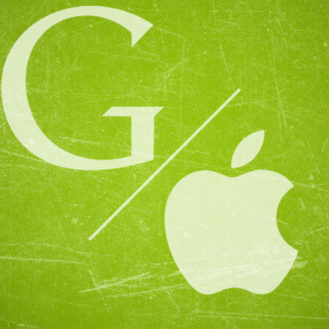 The numbers in this report are massive and may cause some skepticism. Regardless, much more money is being spent on marketing-related digital services that don’t involve media buying than there is on advertising, which falls somewhere between $200 to $300+ billion in the US.